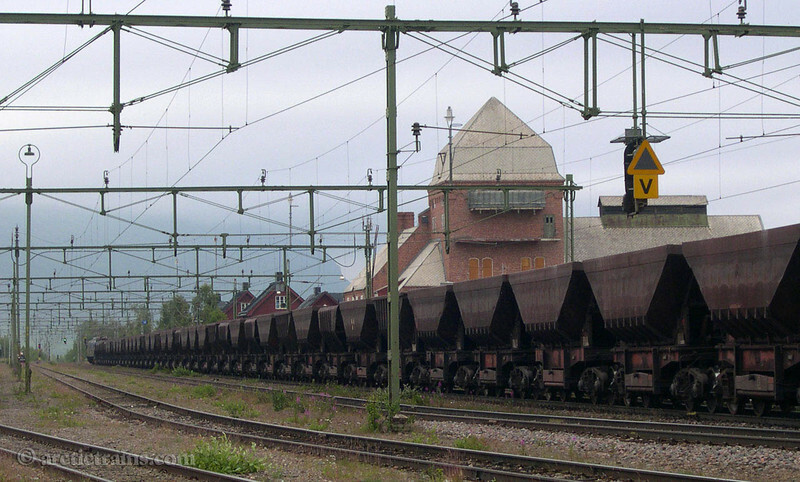 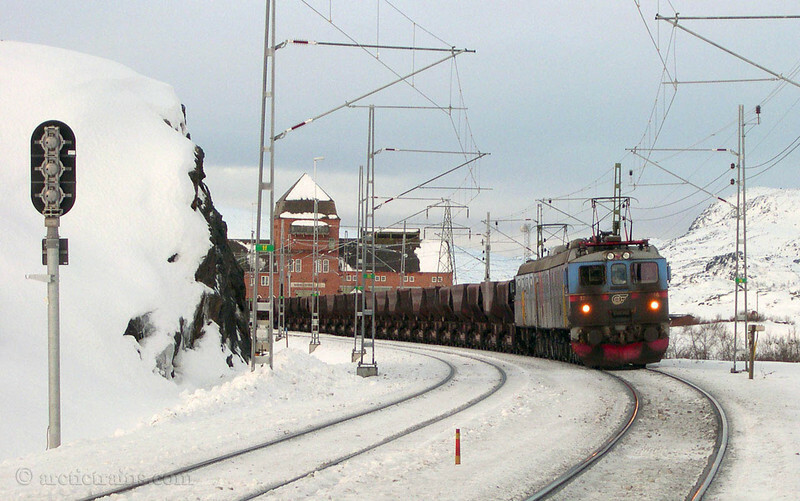 Malmbanan in Sweden, from Riksgränsen to Kiruna. 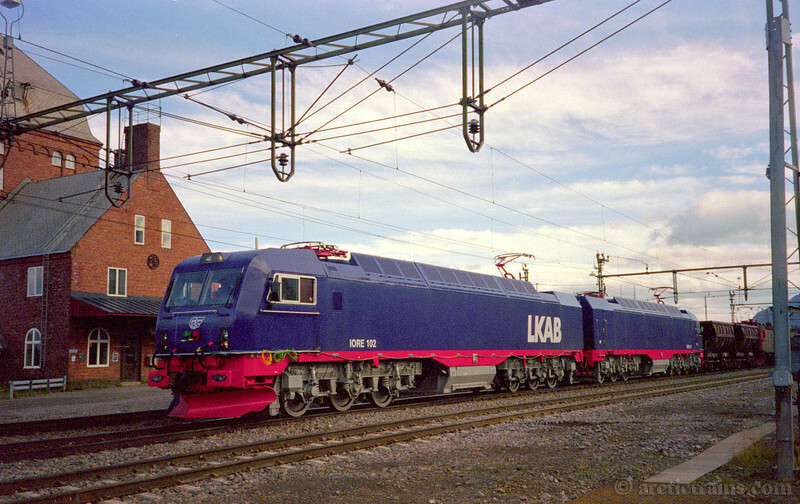 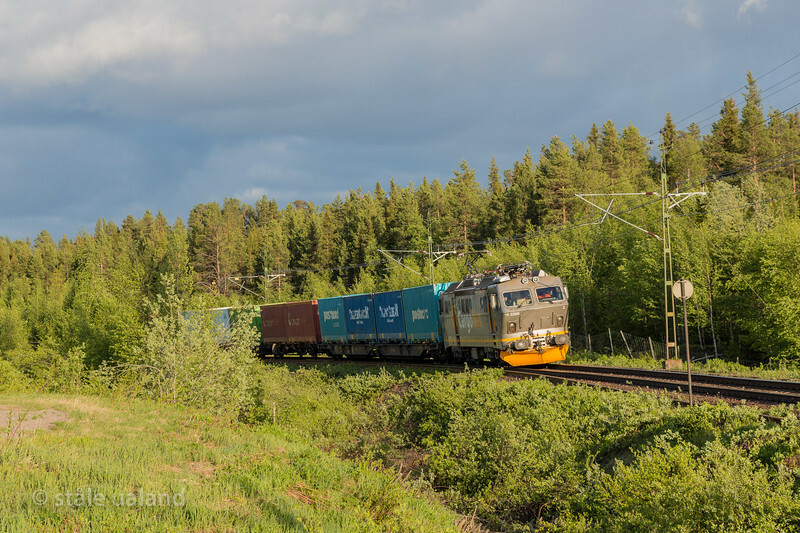 LKAB IORE 117 Boden + Malmberget 112 and F050s in service 9920 east of Kopparaasen st. 2018-07-17 at 19:49. 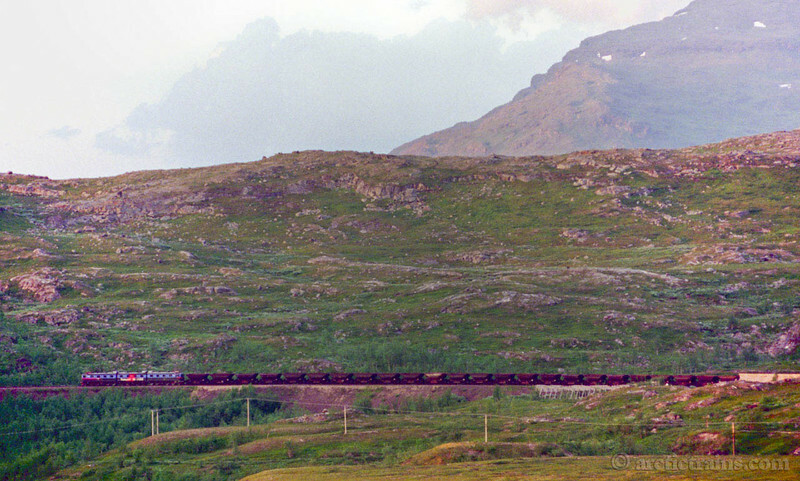 Photo: Terje Storjord. 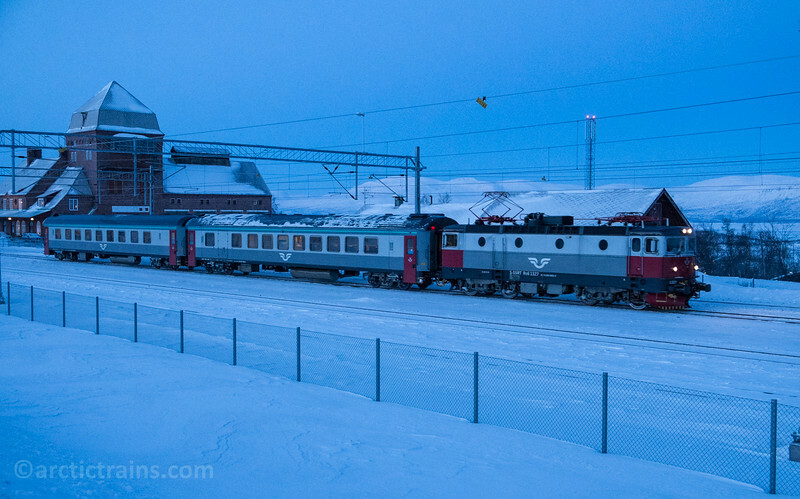 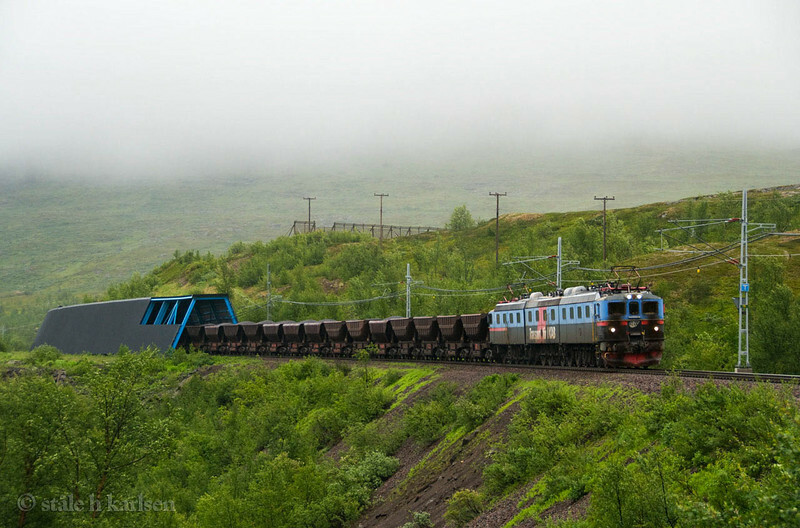 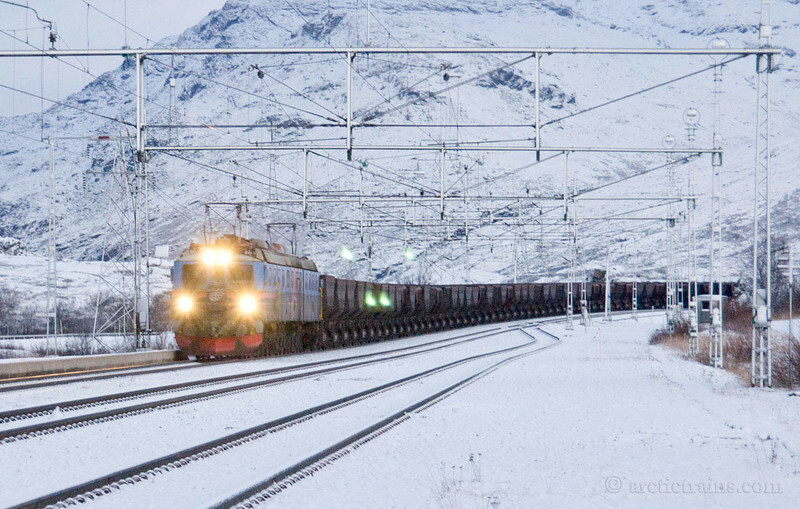 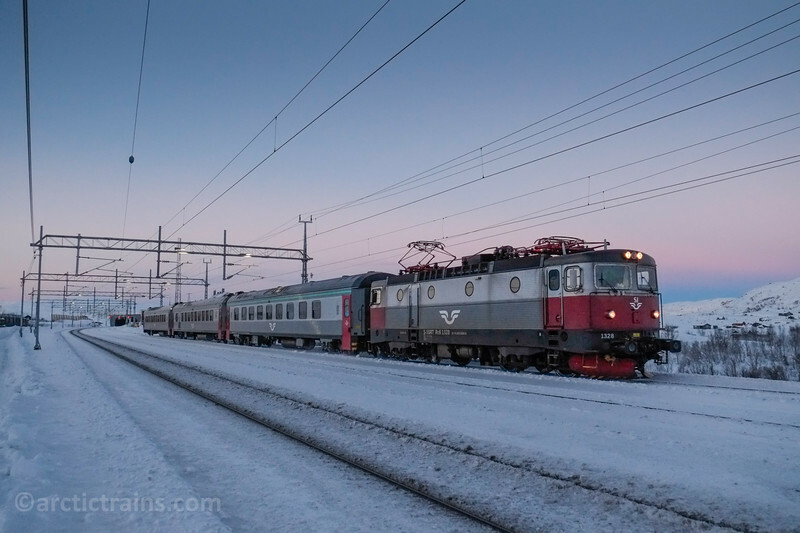 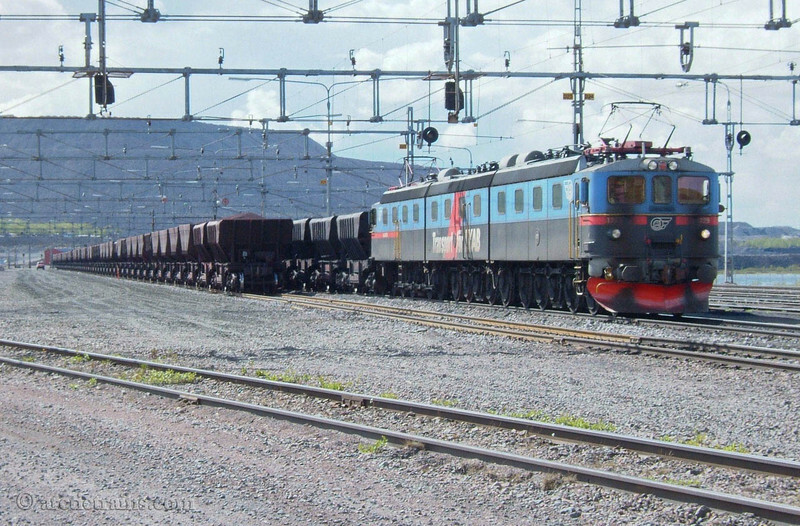 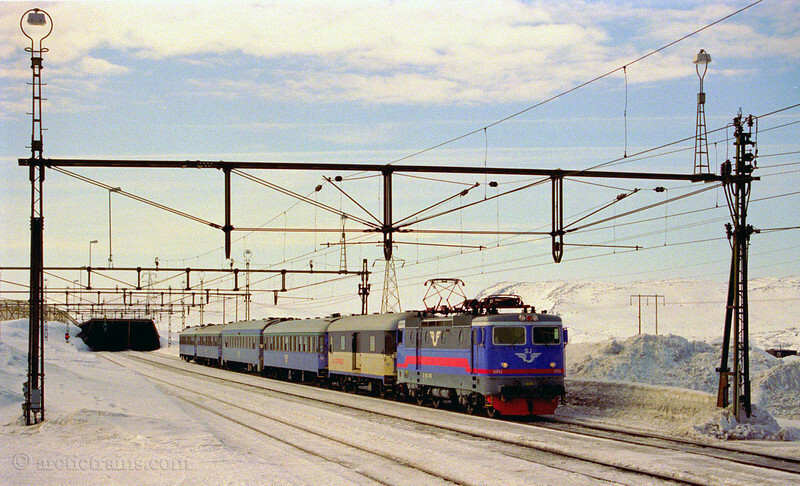 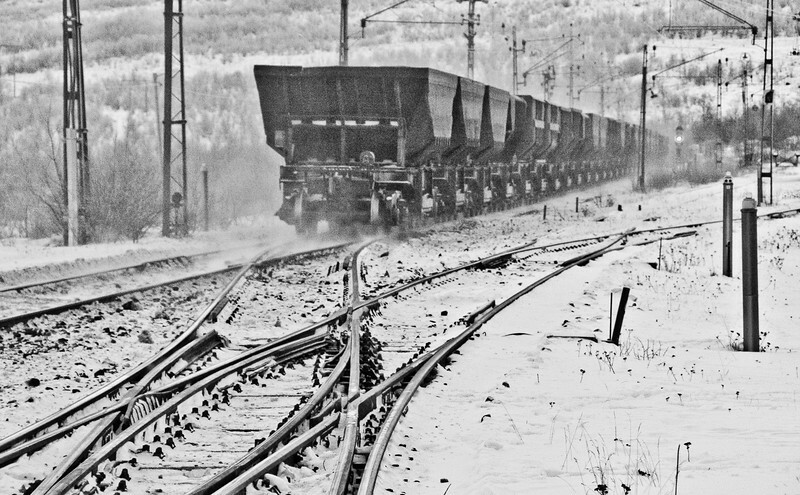 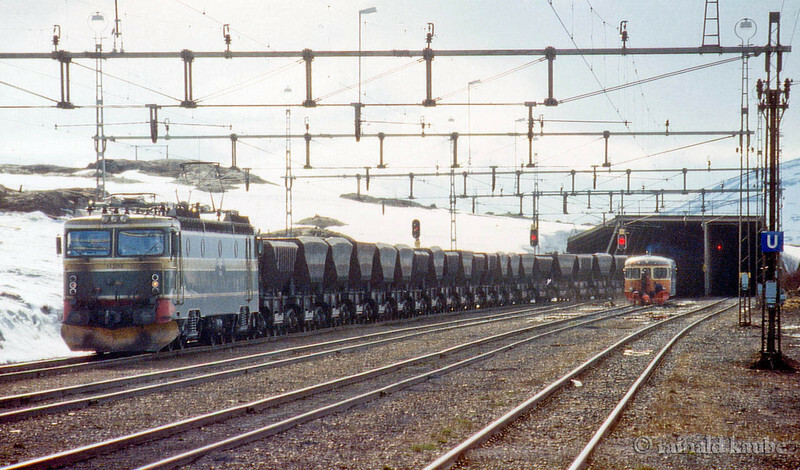 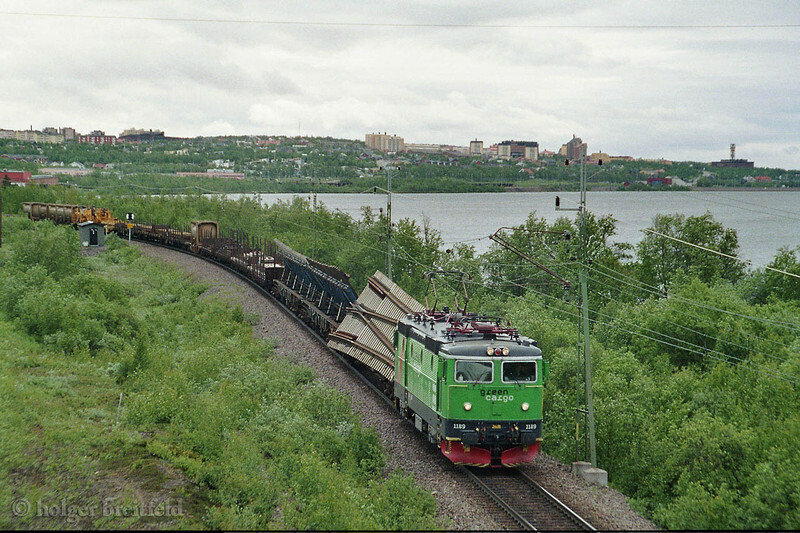 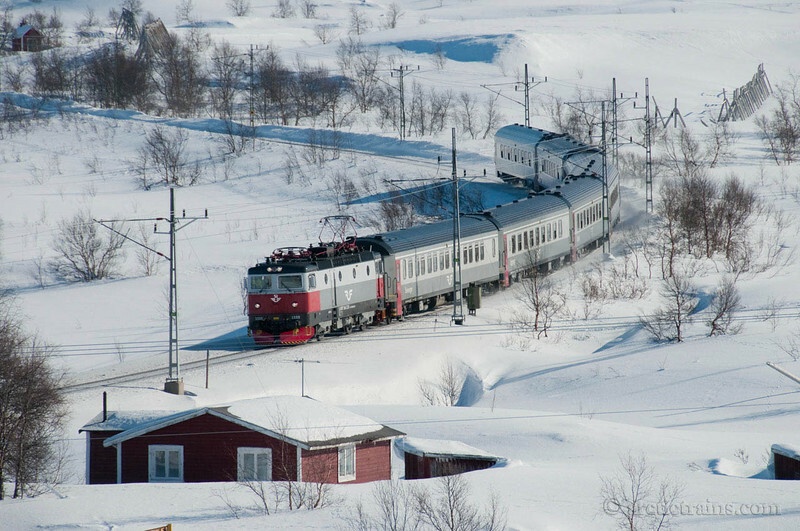 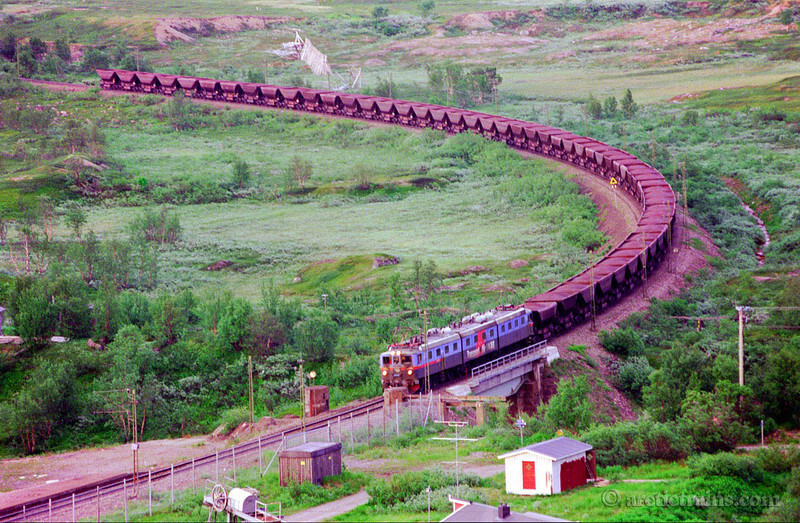 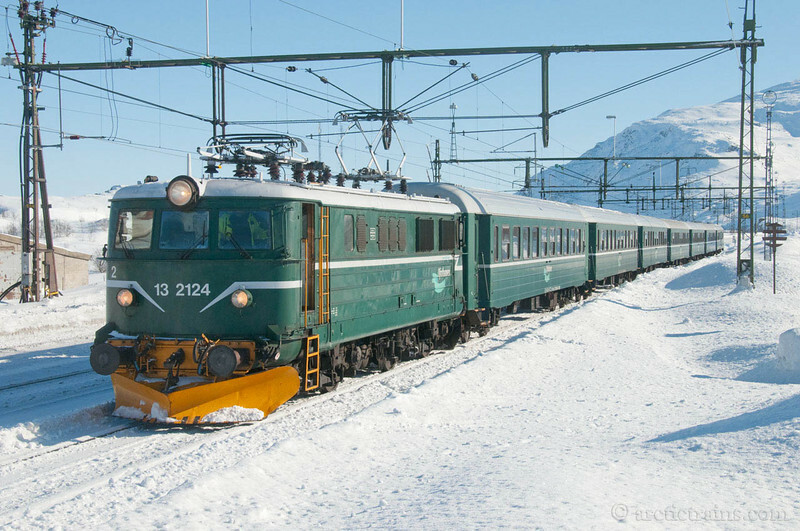 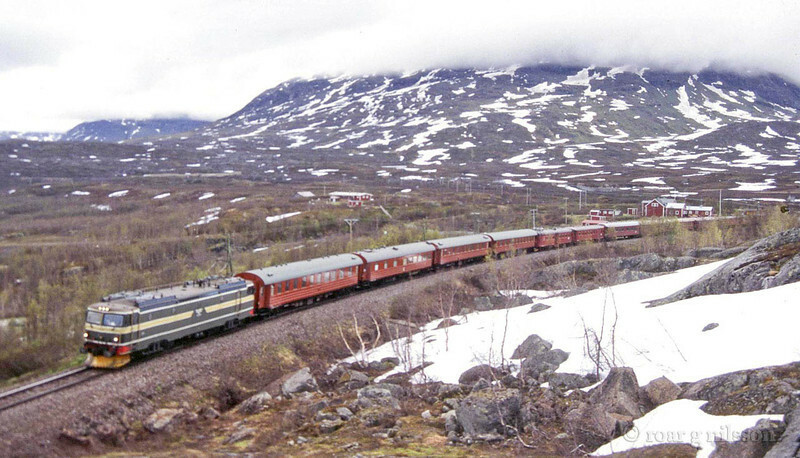 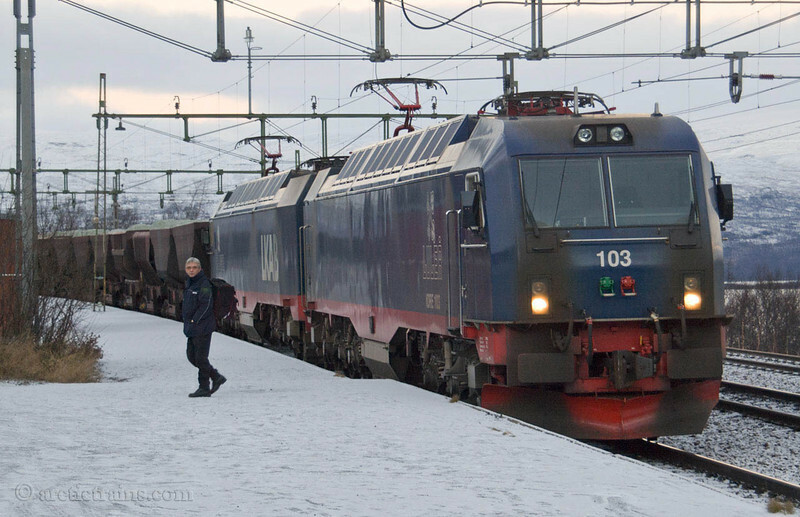 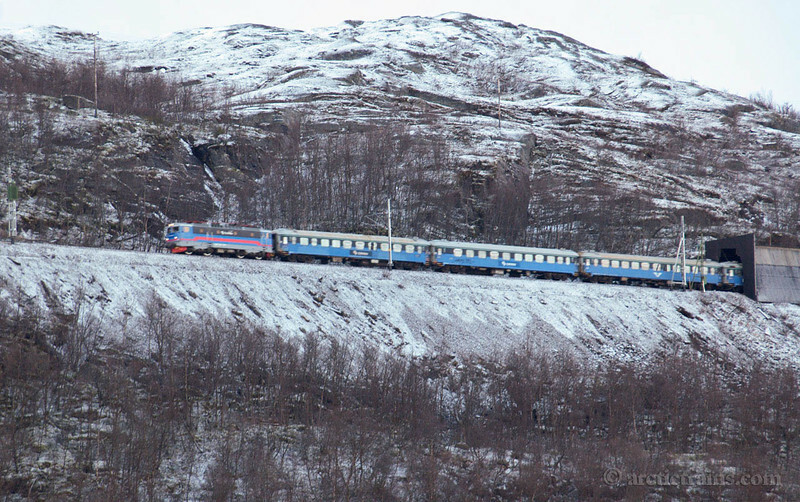 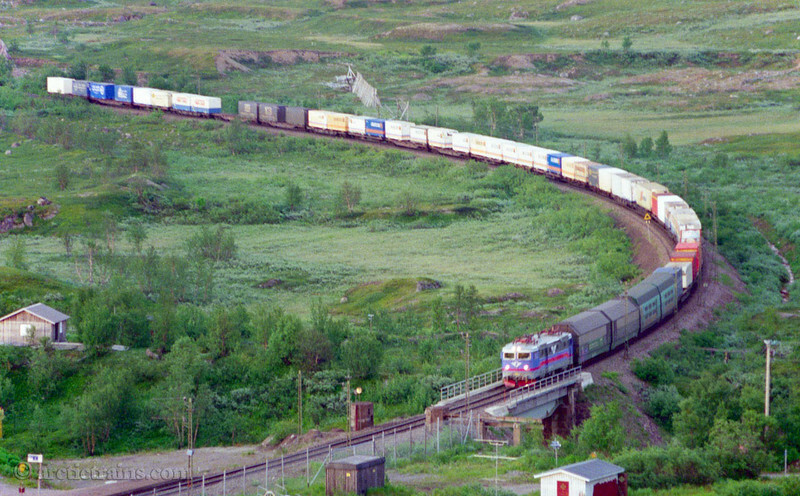 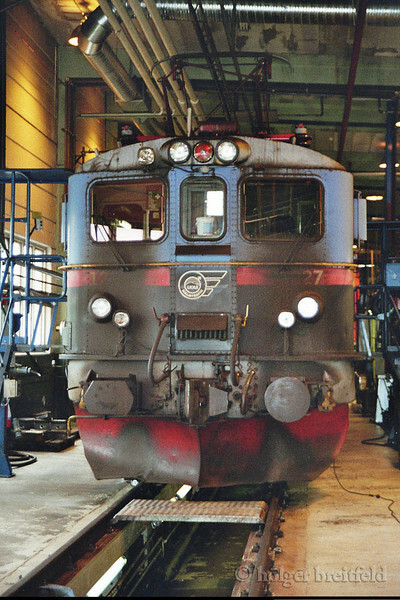 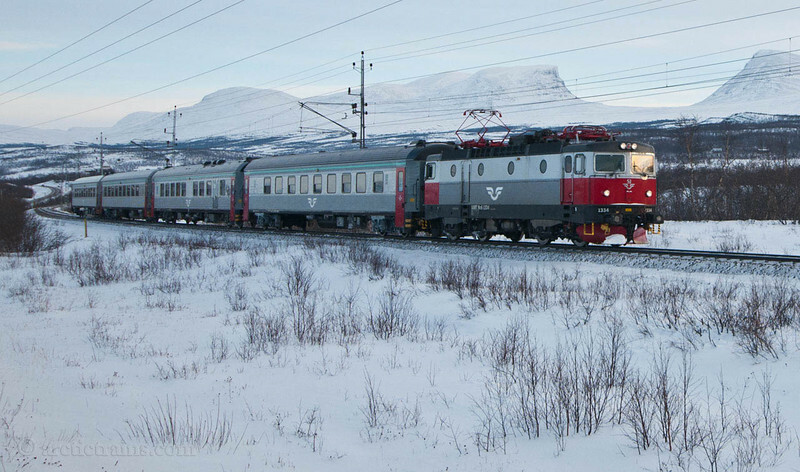 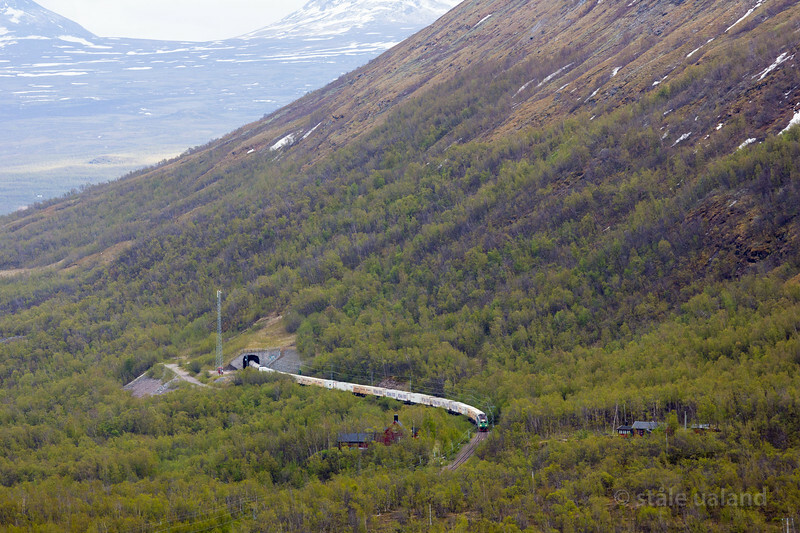 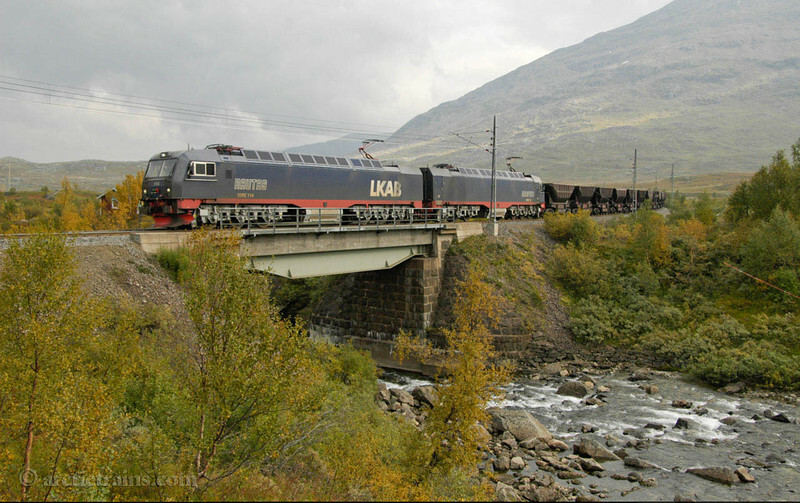 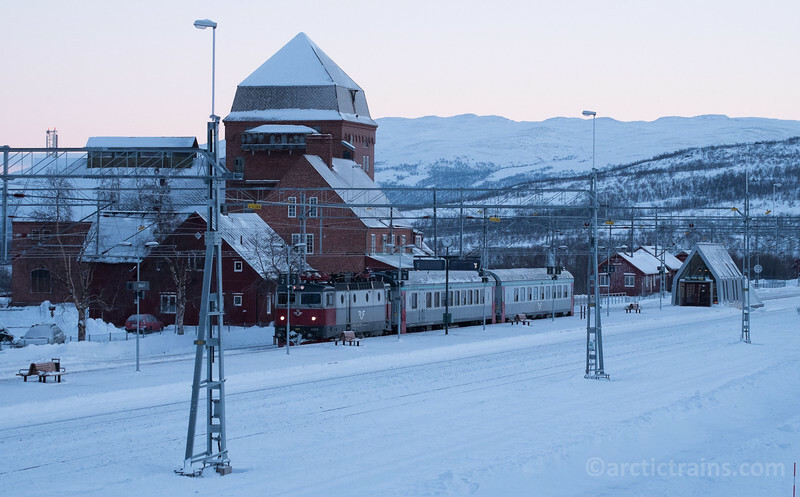 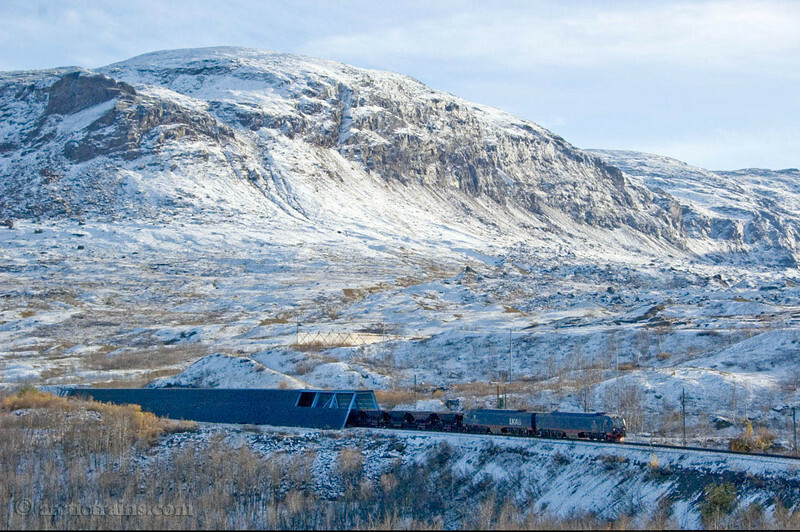 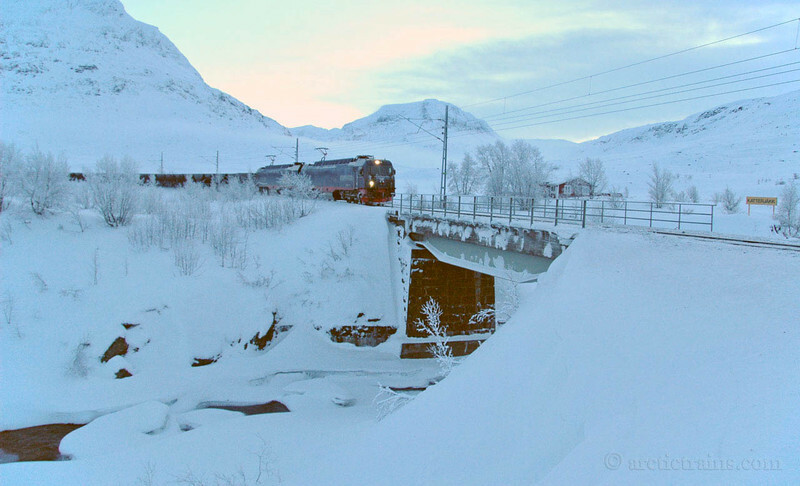 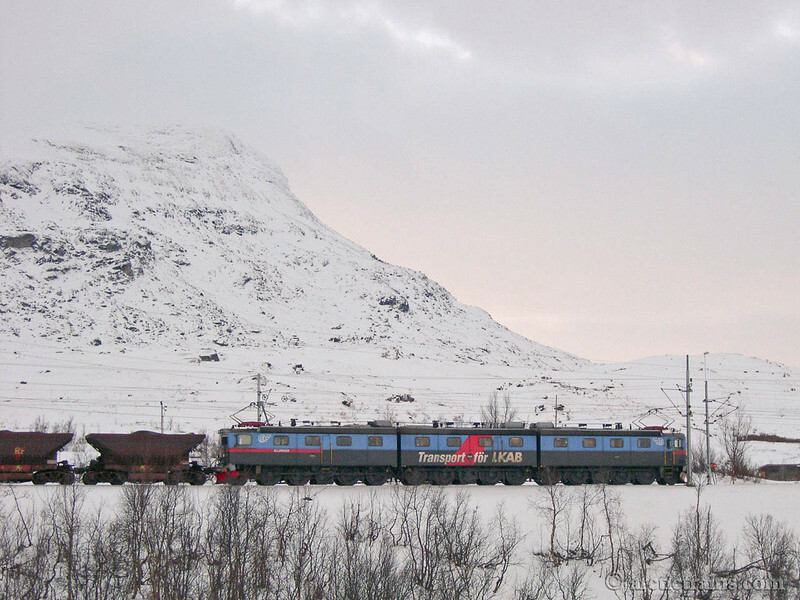 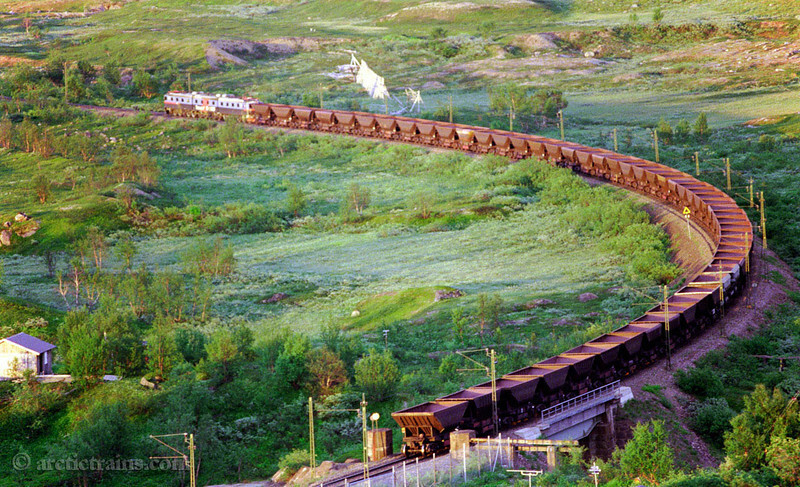 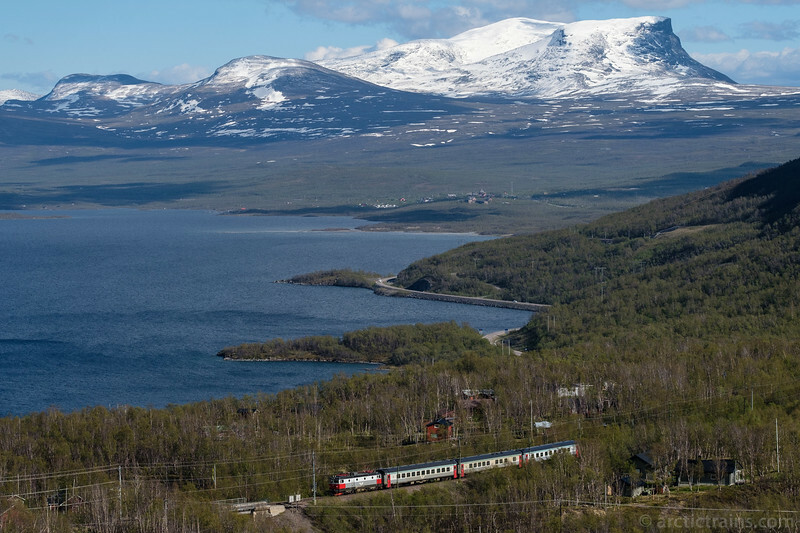 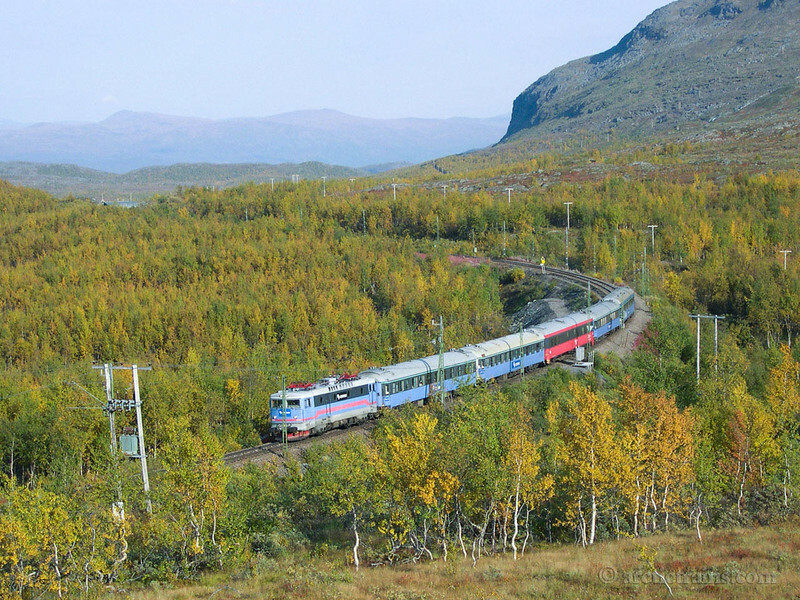 SJ SSRT Rc6 in passenger service 96 towards Bjorkliden st. at Lake Tornetrask, Abisko community in background. 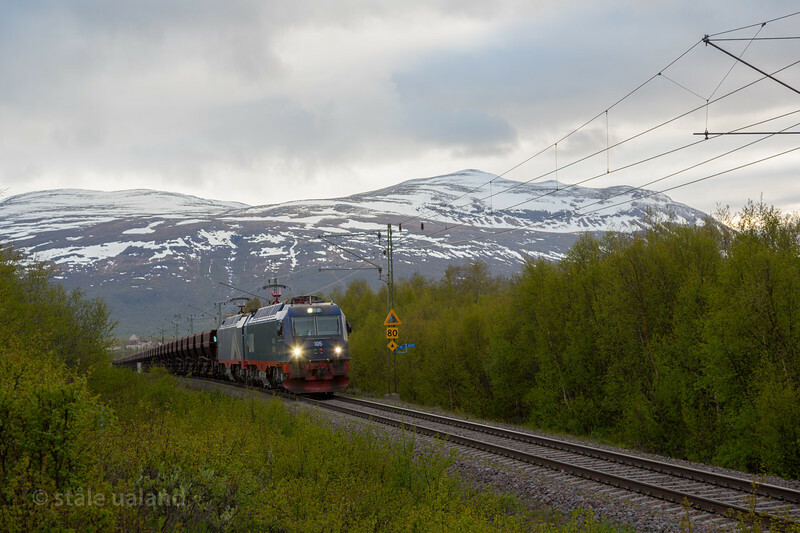 Captured 2016-06-11 16:56 by Terje Storjord. 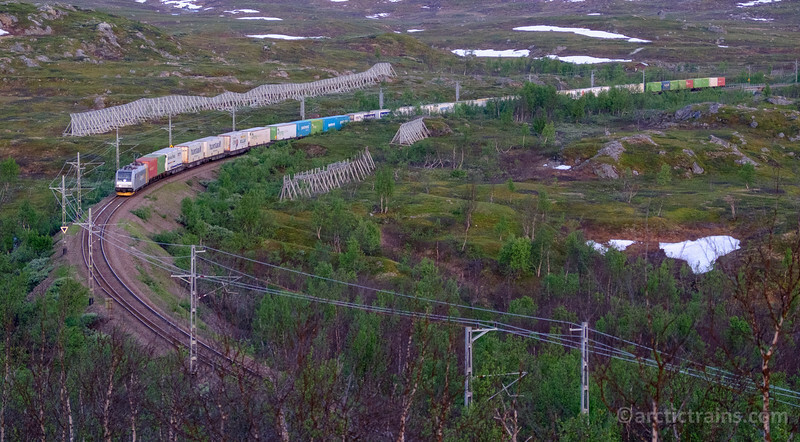 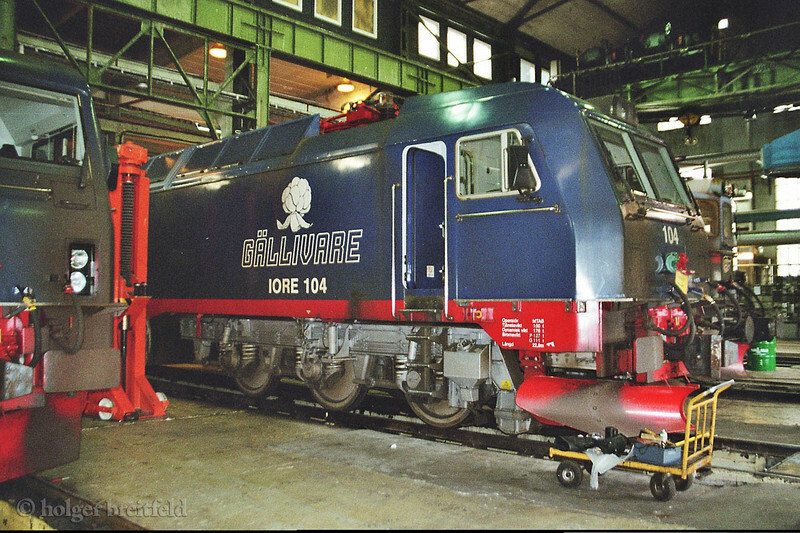 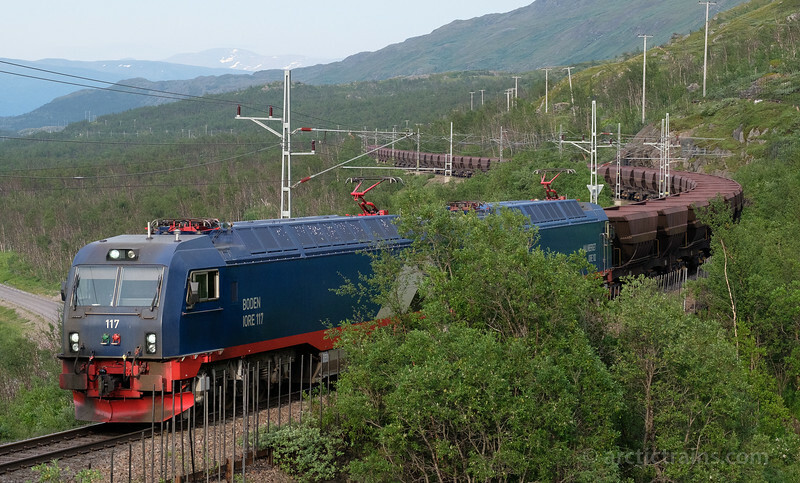 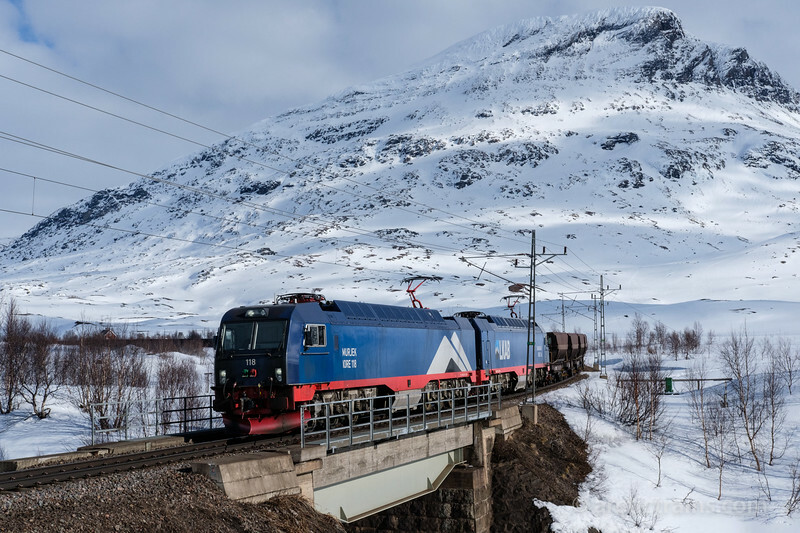 2 x Green Cargo Rcs in Northern Rail Express Oslo-Narvik, service 4006, out of Nuolja tunnel at Bjorkliden, 2016-05-06 18:09. 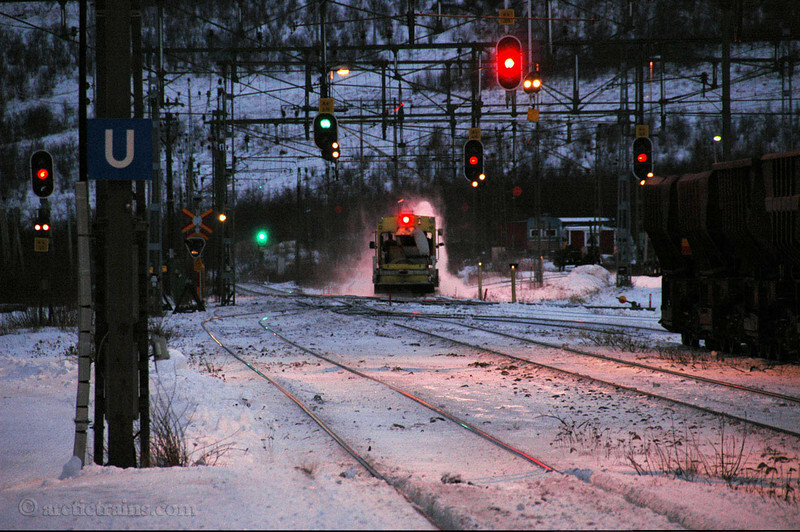 Photo by Staale Ualand. 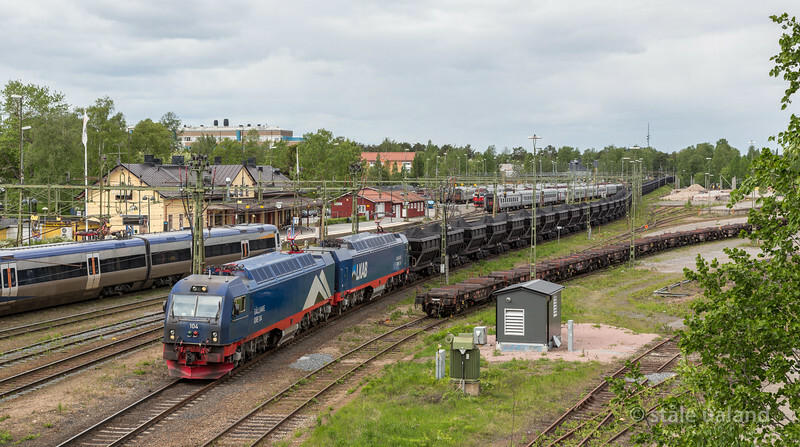 LKAB Iore 104 Gallivaare + 126 Sandskar with loaded F050s in service 9957 at Luleå C 2016-06-04 13:52. 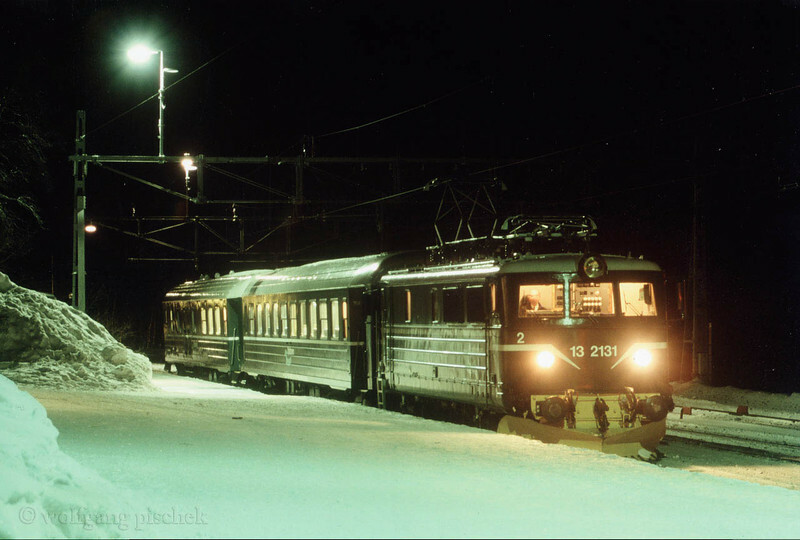 Photo: Staale Ualand. 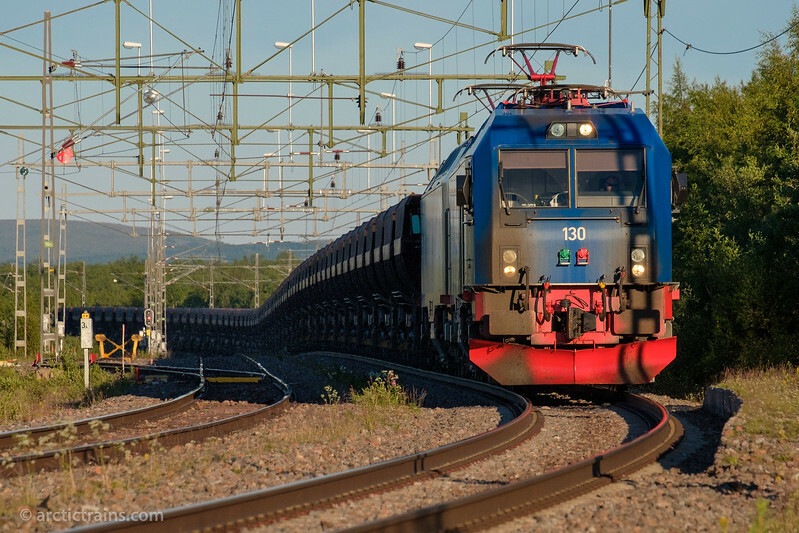 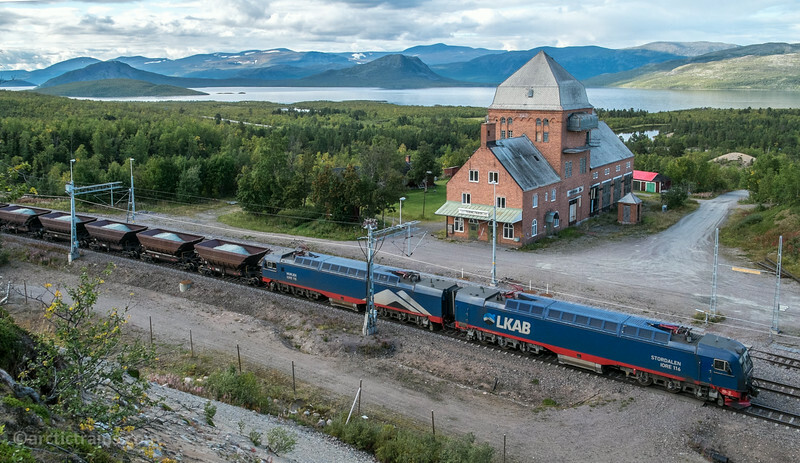 LKAB Iore 121 Rombak + 109 Abisko with F050s on Kiruna's new track, 2016-05-21 at 18:08. 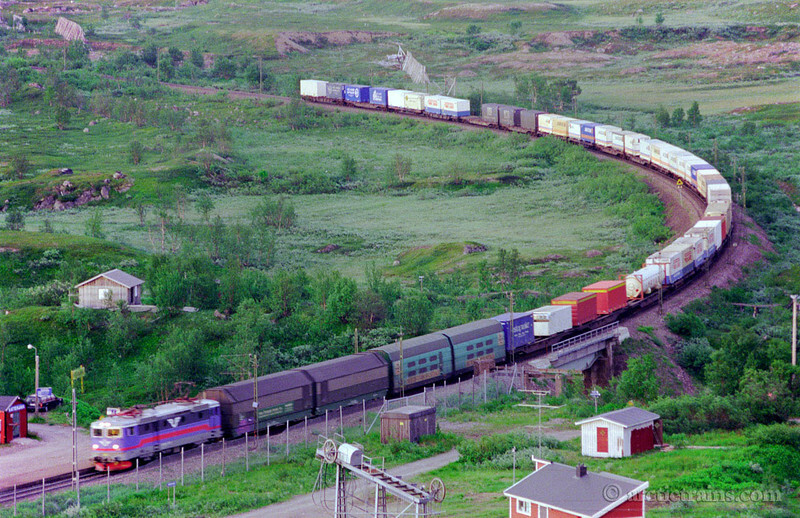 Photo: Terje Storjord. 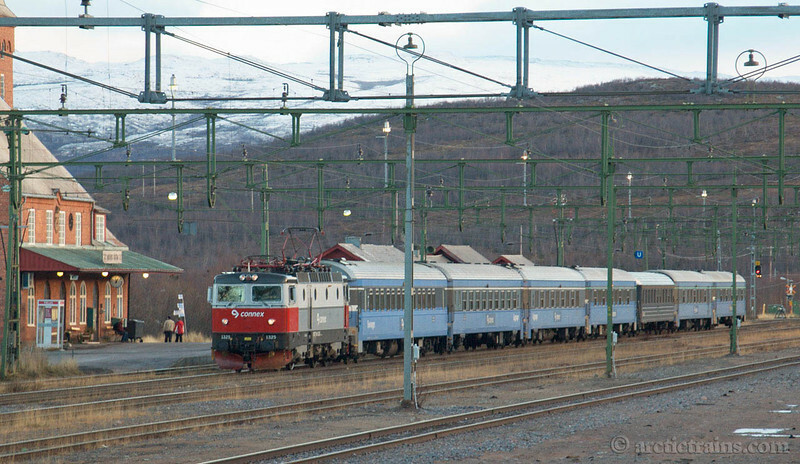 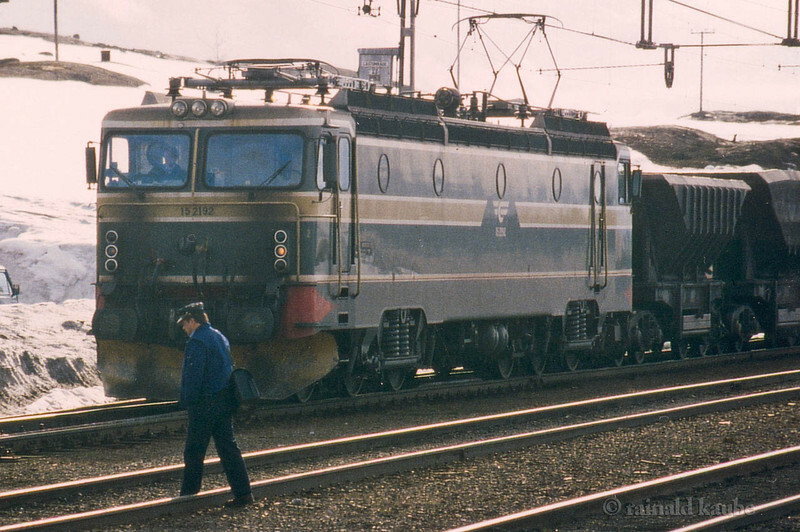 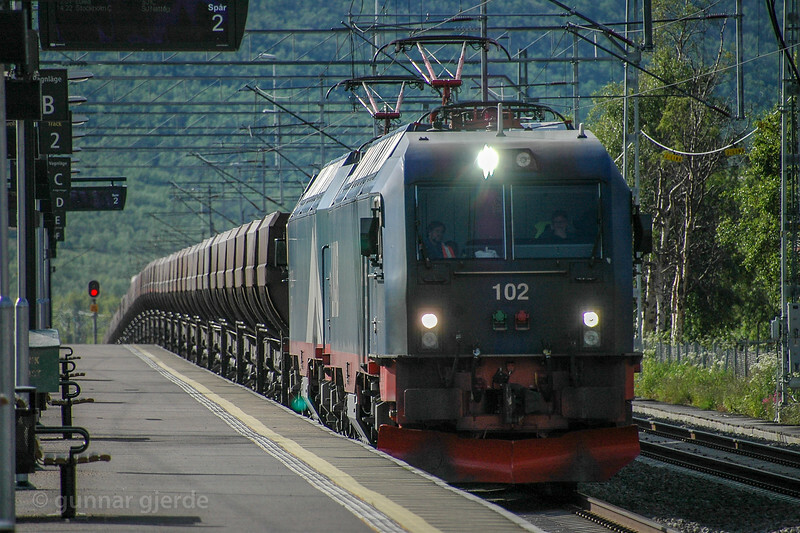 SJ Rc6 in service 96 arrives at Vassijaure st. 2012-04-08 17:49. 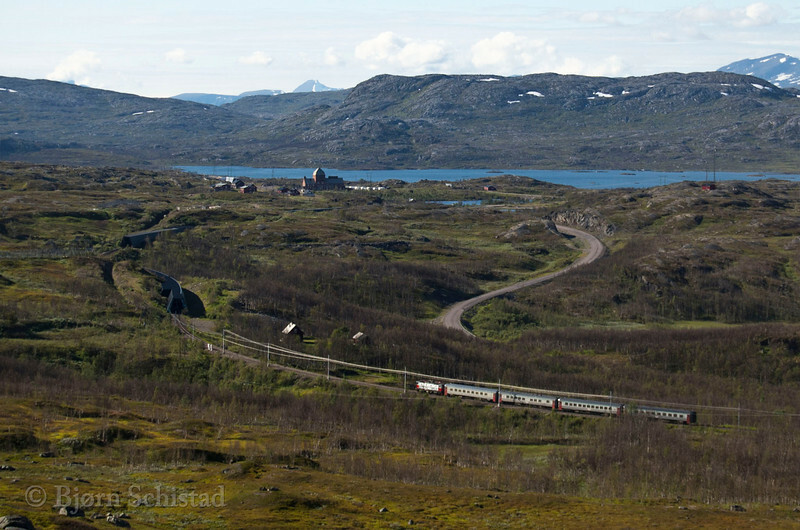 Photo by Bjorn Schistad.